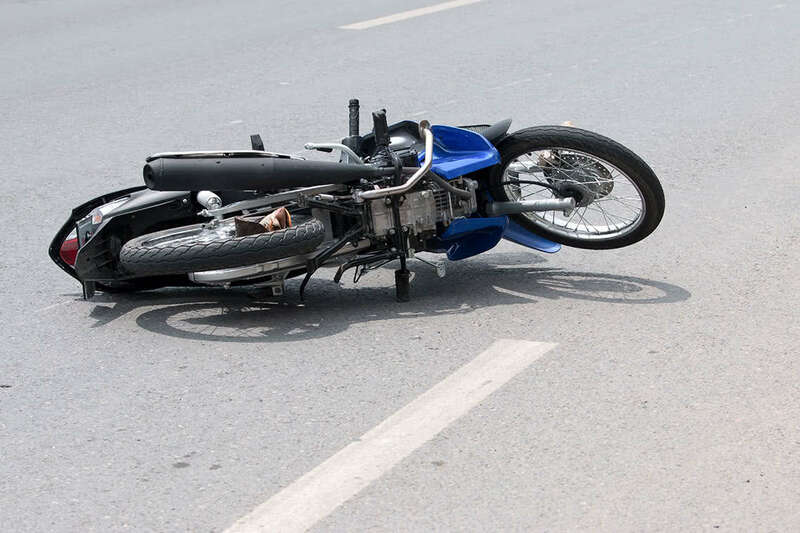 Being hit by a car is one thing, being hit and run over by a bus is another, especially when you’re a motorcyclist. This is what happened to one of clients, Brad, whose normal life was turned upside down after a terrible accident. Brad was riding his motorcycle on a Dallas freeway when it began to stall. As a safe driver always should, Brad began moving towards the right side of the freeway, signaling that he was merging. Unfortunately, Brad never made it there. When he was in the middle lane of the freeway, a charter bus moving at full speed crashed into Brad, running him over. Brad was rushed to the hospital in an ambulance. X-rays revealed fractures in his thumb and ring finger, wrist, and upper arm which required immediate surgery. Doctors placed a plate and screws in his upper arm bone, as well as multiple pins on his thumb and index bones. Unfortunately, the necessary medical care - and expenses - didn't end there. Brad required physical therapy sessions to help regain strength and mobility in his neck and back. With continued pain in his shoulder, a doctor ordered a CT scan and found that Brad required surgery to alter the hardware that had been placed in his upper arm. After that surgery, Brad required yet another arm surgery to replace a humerus locking plate system, and even another surgery after that to treat the scarring caused in his medical treatment. Brad had missed a significant amount of work due to his injuries, and he suffered bodily disfigurements because of scarring. Furthermore, daily tasks such as brushing his teeth, cooking, and caring for his family had become difficult for him. Brad knew he needed a fighting attorney to represent him for his medical bills (which exceeded $360,000), lost wages, pain, and suffering. We watched the video footage recorded by the bus from this incident, and our jaws dropped. It's incredible that Brad survived the accident, because the bus did not even hit his brakes. It was as if the bus driver wasn't paying attention. And indeed, using that video that showed the charter bus driver’s angle, the road in front of the charter bus, and a digital odometer recording the speed before, during, and after the accident, we were able to prove that the bus driver didn't even attempt to slow down, and that Brad was the victim here. We were committed to fighting for Brad’s compensation. After going back and forth with the charter bus’s insurance company, our attorneys were able to win Brad a $700,000 settlement. This was enough to cover for all of Brad’s medical bills, lost wages, and was also enough for Brad to recover without the burden of debt.